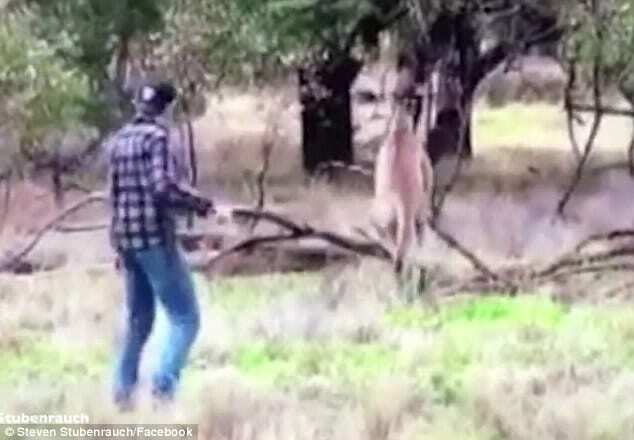 Man punches kangaroo in the face to save dog being strangled: Video goes viral showing a man and a 6ft tall kangaroo engage in Australia’s outback. 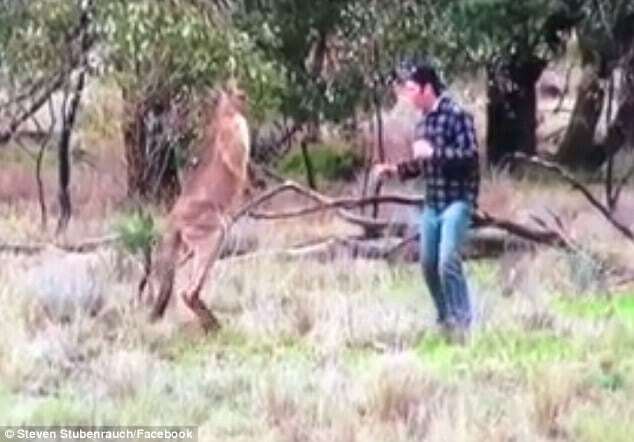 Video footage (see below) has emerged of the moment a man running up to an upright 6-7 foot tall kangaroo who could be seen aggressively tussling with a dog in Australia’s Outback being punched in the snout/face. Standing toe to toe with the boxing like kangaroo, the dog owner, yet to be identified punches the kangaroo, leaving the animal off kilter. According to a report via the dailymail, the video was captured by a friend, who’d shot it from the safety of his vehicle. The two men along with the owner’s dog had been out on what appeared to be a hunting trip in rural bushland when Max at one point found himself in a headlock from the kangaroo. Having knocked the upright roo off balance and allowed Max to escape, the dog owner can be heard instructing his dog to get back to the truck as the man now turns to run to safety. The kangaroo after a few seconds, whether because it was confused, rattled, itself shaken soon after bounces away. Yet to be necessarily understood is what led to the kangaroo and the owner’s dog interacting and whether the roo was being the aggressor or simply protecting what it believed to be its turf as the hunting crew made their way…. To date the video has been seen more than 3.5 million times since being posted yesterday. The dog’s owner can be seen running towards the kangaroo who has its long forearms around the dog’s neck. 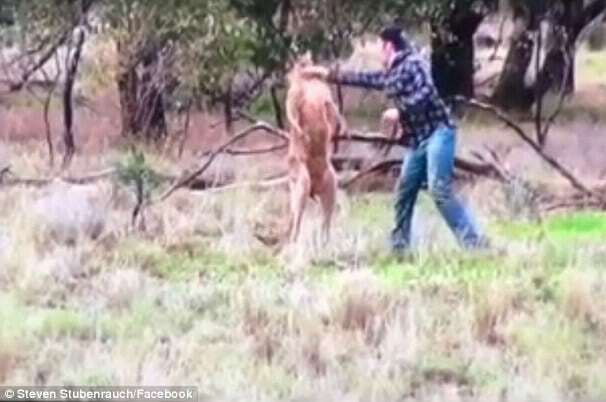 Man punches kangaroo in the face to save dog being strangled: the startled roo is momentarily knocked back after being punched. 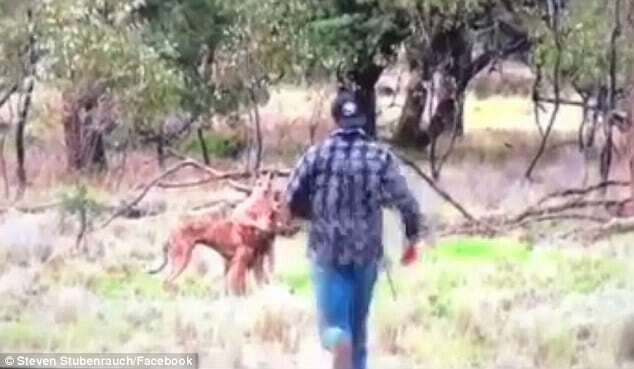 Man punches kangaroo in the face to save dog being strangled: Both man and roo make off.